Unfortunately does not make any difference for me. > Unfortunately does not make any difference for me. Then pengu should post his smb.conf. Let me take a close look later today. 2. Request the FW restore tarball from Zyxel. Hopefully, you can format a USB drive and put the restore script and binaries on that. Power up with the restore USB plugged in. See if this rescue mechanism works. We have not tried this option before, so it is good thing that you can find out one way or the other! If you can't get a restore USB tarball from Zyxel, and can't connect serial console, I will need to look in to my saved tarball and see if I can find something might perform the rescue. Edited 1 time(s). Last edit at 05/09/2017 04:17AM by bodhi. Thanks, I will try the serial console later on. I have to setup either the Atmel STK500 or my raspberry as UART 3.3V<->Serial converter first but both should work. It's the best way to have full control! > Then pengu should post his smb.conf. This option not make much difference in my case. As example I used the trimmed down smb.conf from the wiki. See the attached screenshots for the results in a usage scenario with my Win8.1 desktop PC and a testfile of 10GB size. Edited 1 time(s). Last edit at 05/11/2017 05:15PM by sebr. > tfile of 10GB size. So using the Wiki simple smb.conf, the xfer speed for 10GB file is 85MB/s and 92MB/s? Also very strange that there are frequent heavy drops in the speed while copying the testfile. bodhi, what speeds do you get? > ops in the speed while copying the testfile. > bodhi, what speeds do you get? It's been so long ago since I ran the tests, I can't remmember exactly but somewhat comparable to yours (on NSA325v2 and a quad-core MacBook Pro Windows 7 VM). I have not tested with the NAS326. * How can I bind the power-button to shutdown the NAS? At the moment, if I press the power button nothing happens. > for 10GB file is 85MB/s and 92MB/s? this were the rates without the mentiond line. After changing the Stick and successfully booting Debian again, I decided to upgrade the kernel as usual. All good I thought .. but the "beep" seys that ZyXEL OS is up and booting debian was unsuccessful. > > for 10GB file is 85MB/s and 92MB/s? > this were the rates without the mentiond line. > XEL OS is up and booting debian was unsuccessful. So it was booting stock at this point. Bad move! You should have logged into stock OS first, before doing anything more. Given it is this bad, it's time to try the USB key_func restore approach to see if the original FW can restored. trying to install somekind of own system on it. you need more reports on these LED statuses and WOL etc.? Currently I use a NSA325 on Debian Stretch/ Kirkwood kernel 4.x and want to upgrade to NAS326. change the hdd's and everything is done. Or is there a reason to setup a completely new System from bodhi's rootfs? > tem from bodhi's rootfs? You should use the new rootfs. It is armhf, instead of armel like the Kirwood. You could use the Kirkwood rootfs, but performance will be not as good. I build my own Debian RootFS and used bodhi's linux-4.12.4-mvebu-tld-1 package. The ethernet have every boot a different mac-address. Is there a way to fix this? That's the only way to do it cleanly right now. You could also use macchanger to change the MAC address to the real one. But the effect is will take longer to get the network connection (almost same as when the MAC is changing at each boot). This is due to the limitation of stock u-boot. I had to set it up so that the DTB was not updated by stock u-boot. Therefore u-boot does not pass the MAC address to the kernel in the updated DTB blob. Stock u-boot uses a much older version of the FDT handling code, so it corrupts the blob if we let it update and pass to the kernel. Edited 1 time(s). Last edit at 08/18/2017 03:27AM by bodhi. > The ethernet have every boot a different mac-address. Is there a way to fix this? And to put this additional line into the dts patch before compiling a new kernel isn't much expense. CFLAGS="-Ofast -march=armv7-a -mtune=cortex-a9 -mfpu=neon-fp16 -mtls-dialect=gnu -mfloat-abi=hard -pipe -fomit-frame-pointer -fstack-protector-strong"
Sep 09 07:24:12 nas kernel: OF: Duplicate name in testcase-data, renamed to "duplicate-name#1"
Sep 09 07:24:12 nas kernel: irq: no irq domain found for /testcase-data/interrupts/intc0 ! Not sure about this. But it seems to me like some kernel debugging stuff forgotten to remove. It doesn't hurt anything but looks ugly. Doesn't look like a kernel panic. It's not really reproducible but occurred today already for the 2nd time. Restarting the network doesn't help. I guess there's still a problem with the network driver. Rebooting helps. This should not happen when you use static IP. And when you use dynamic IP, you can reserve the IP using the MAC address. It is not a very good solution to hardcode MAC address in DTB. Hardcode in the rootfs /etc/network/interfaces is much cleaner and more flexible. > sn't hurt anything but looks ugly. I've stored some music files on my Zyxel. Via NFSv4 I can access these folders on my desktop machine. Playing this music files caused the Zyxel to freeze. I simply wasn't able to access this thing anymore. The serial console didn't give me access too. For some reason the power button was still working. So I was able to reboot the Zyxel. I 'm talking especially about the music files, because it doesn't produce any mentionable network traffic. 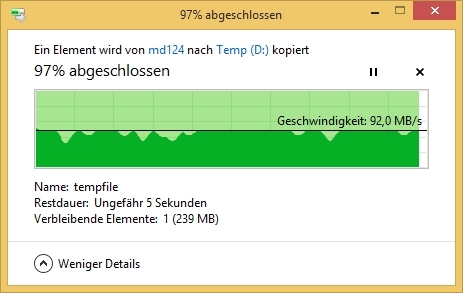 When I transfer bigger files, I couldn't recognize this problem. Other network services than nfsd work without any problems. What was the reason to remove this section? The fixed link is simply not needed. Usually it is a work around for some problem, or really want that when you connect with Gbits only, e.g. in CPU port of a DSA switch. We'd want autonegotiation when you happen to have only a 100Mbps switch connected to the box. That said, I think this is another symptom of some regression in the 4.12.x mvneta driver. There are other reports about Samba xfer crashes with very large files. Edited 1 time(s). Last edit at 09/27/2017 08:25PM by bodhi. kernel-4.12.x: In case of the occurrence of the error the network freezes completely. I get the nfs error message and the sysrq messages (4 messages above). Can't access the system via Serial console, but I'm able to shutdown the Zyxel via Power button. kernel-4.13.x: In case of the error occurrence the network (SSH connection) stays active. NFS stops for a couple of minutes. After that the NFS connection re-establishes and works so far again. But sometimes I get the sensation, the system isn't working reliable anymore. Every network service feels a little bit slower. So I feel better to reboot the device.